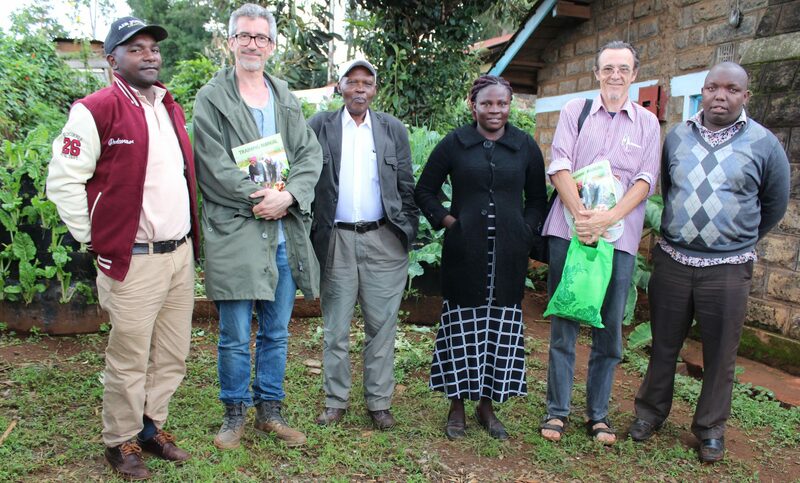 Welcome to Organic Agriculture Centre of Kenya (OACK). OACK is a non-profit National NGO based in Kangari town of Muranga county, having the purpose to educate, train and work with disadvantaged small scale farming communities on sustainable organic agriculture in Kenya and especially in Eastern Aberdare Agro Ecosystem.It's time to look ahead far into the future, and make changes and difference in livelihood using sustainable organic agriculture education and farming methods to enable families produce enough food to feed themselves, the growing population and improve socially and economically in order to move out of ecological livelihood inequalities and poverty. Hence sustain sound environment while coping with climate change from grass root. Management It was founded in 2006 by Mr. Stephen N. Wainana who is the current Executive Director after being initiated in 1996.